August 31st, 2016 By: GGT Category: 2017/03 release, Figure News. 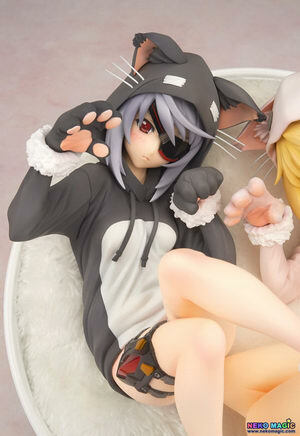 Alter is going to release the Laura & Charlotte ( ラウラ＆シャル ) Nekomimi Pajama ( ネコミミパジャマ ) 1/7 PVC figure set from the light novel/anime “IS <Infinite Stratos>” ( IS〈インフィニット・ストラトス〉 ). Will be released in March 2015. Around 220mm tall, 16,800 yen.